The blog has been quiet because my house hasn't been. It's summer, so that means popsicles, playdates and visits to the pool for our family. 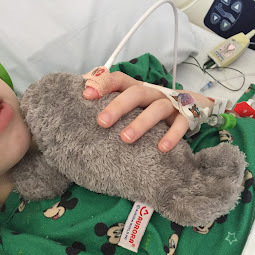 We gear up for another procedure for Bennett next week. But for now, I'm happy to just focus on enjoying our fairly quiet summer. 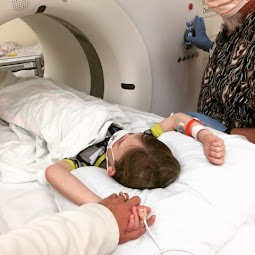 Outside of summer fun and our regular visits to the hospital, one other thing that has kept me busy this summer has been working with Oliver, who I mentioned in this blog post has having been diagnosed with dyslexia. 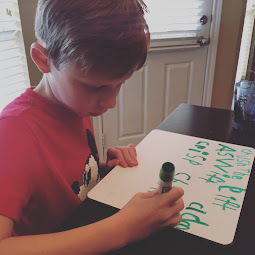 I have given much thought about just how much I want to share about dyslexia on this blog, considering it's mainly about Bennett and his journey with CF. But then I realized, my sharing about dyslexia is directly connected to CF. Becoming a parent advocate for a child with a chronic condition like CF is not much different than becoming a parent advocate for a child with an educational disability. Both push me to share things I've learned and resources that I have found to be immensely helpful, in hopes those around me, who are also struggling, can benefit. Dyslexia is as a learning difference (considered a disability in the educational system) characterized by problems in processing written words into meaningful information. Dyslexia is often over-simplified as a language deficit. However, neuroscience shows us the brain is cohesive. People with dyslexia actually think differently. Neurodiversity, the diversity in how each of our brains work, offers a series of cognitive trade-offs. People with dyslexia are often recognized for their difficulty with written language but may also struggle with executive function skills, working memory issues, attention issues, slower processing and issues with rote memory. The cognitive trade-offs for people with dyslexia are that they are also known to exhibit huge strengths such as big-picture thinking, interconnected reasoning, problem-solving skills, ability to stay focused on a goal, unusual insight into complex systems and great creativity. Many talented people struggle with dyslexia but benefit from dyslexia too: Steven Spielburg, Jamie Oliver and Richard Branson, creator of Virgin Airlines. There are many others but my point in sharing well-known people with dyslexia is that dyslexia shouldn't be seen as a disability, something to "overcome," but rather something to embrace. As long as we limit people with dyslexia to having a disability, we fail to see the amazing thinking process they actually embody. So does dyslexia mean Oliver can't read? Dyslexia means Oliver struggles with written language but it does not mean that he can't read. In fact, Oliver reads above grade level! Dyslexia looks different in every person. 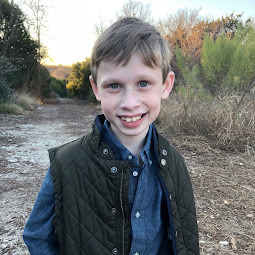 For Oliver, dyslexia manifests itself in multi-step things that feel incredibly complicated, things like tying his shoes, figuring out a math problem, answering questions from a passage or organizing a project. For Oliver, handwriting is particularly laborious. Most people would never know Oliver has dyslexia. He uses his advanced social skills to hide his struggles. But school is very difficult for him. He works extremely hard to do what is asked of him but becomes very overwhelmed having to do this day after day. Without support, Oliver can easily feel he is not capable of things he is more than capable doing. This is why addressing dyslexia is really important. Like CF, people are born with dyslexia. Dyslexia is highly inheritable. But, unlike CF, no one gene has ever been identified for causing dyslexia. People with dyslexia have shown to use a different part of their brain to read than do those who do not have dyslexia. It is believed that as many as one in five people have dyslexia. And most have a parent, grandparent, sibling, aunt or uncle with dyslexia. With regard to our family, Brian and I don't have dyslexia but we know a few extended family members that do. We do not yet know if Bennett or Avonlea have dyslexia. How do you treat dyslexia? Dyslexia isn't a disease. So, there is no cure. And I don't ever expect there will be one (nor do I prefer one). Dyslexia is simply a different way of processing information. The best treatment for dyslexia will be when the educational system catches up to science and begins supporting humans' diverse learning processes. For people with dyslexia, written language can be very difficult. Those with dyslexia often need to be taught to read in a very specific way. Right now, Oliver gets on-going intensive tutoring outside the regular classroom to work on reading, spelling, writing and written organization skills. 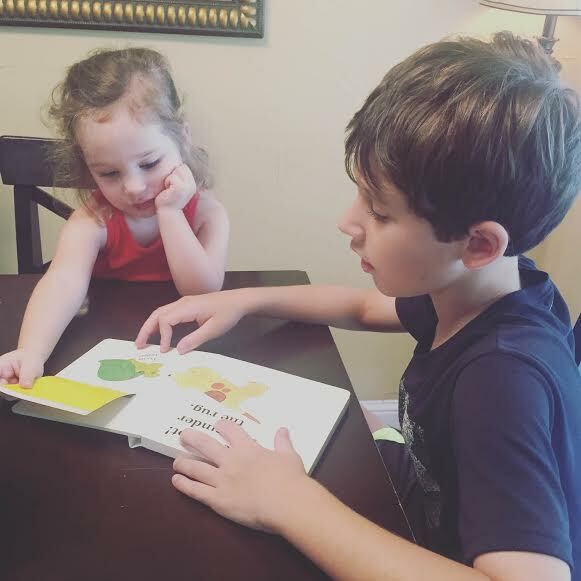 Oliver will need this intensive tutoring for about 2 years to master his reading skills. But people with dyslexia may always struggle with reading, spelling and writing in some capacity for their entire lives. People with dyslexia may need accommodations at school to help them reach their potential. This isn't because something is wrong with them, but it is because so much of the educational system measures learning very narrowly, often with a focus on reading and writing. How early can you test for dyslexia? Children can be tested for dyslexia as early as the age of 5. The earlier a child is treated, the greater their success in school. It is NOT true a child must wait until 2nd or 3rd grade to be tested. If a parent or teacher has been told he/she must wait until the child is older/fails in school, it is out of a desire to protect limited school resources, not out of protection of the child. The first 2-3 years of primary school is spent learning to read. All of the rest of the school grades are spent reading to learn. Time is not on your side. Testing should be done as early as possible. By law, schools must test students enrolled in the public school system whose parents send a signed letter to the school in writing requesting testing be done. Many states have a law that testing must begin within a certain number of days from receiving that letter. Make sure to keep a copy in your own records should there be a delay. Testing in the public school, while free, may work well or may be too generic to identify the child's specific needs. If testing within the public school system is too slow or too generic, I suggest moving forward with private testing. Once test results identify a child has a learning difference that is considered a disability, like dyslexia is, the child will be required by law to receive support services in the classroom through an IEP or 504 plan. Texas considers students with dyslexia to be covered under a 504 plan. How do you test for dyslexia? Educational psychologists have a variety of tests they use to test for dyslexia. I recommend looking for someone who can give a full "psycho-educational assessment." The public school's special education system can test but I highly recommend private testing as it can provide more specific testing than the public school system can offer students. Brian and I felt full psycho-educational testing was important for understanding Oliver's issues in school. We wanted to have all parts of his cognitive and psychological processing evaluated to give a better picture of what might be going on. Oliver was tested at the University of North Texas-Denton's child psychological department and the UNT-Denton Speech and Hearing Clinic. The testing took place over 3 half days. We were very happy with the process and all that we learned about how he learns and how to help him. There are many organizations, people and universities around the US who offer psycho-educational assessments starting at age 5 or 6. Some are very expensive. Others are more reasonable. Universities often offer more cost-effective testing as those who are doing the testing are often students themselves learning under professors. I suggest asking around. My child has a dyslexia diagnosis. Where should I go now? I recommend using the Orton Gillingham approach to addressing reading issues with dyslexia. I also recommend Barton Reading and Spelling. Here are several documentaries about dyslexia I really love: HBO's The Big Picture, Rethinking Dyslexia (see the trailer here) and Embracing Dyslexia. I'm a teacher who has students with dyslexia in my classroom. I am not trained to teach children with dyslexia. Any recommended resources or advice for me? 1.) 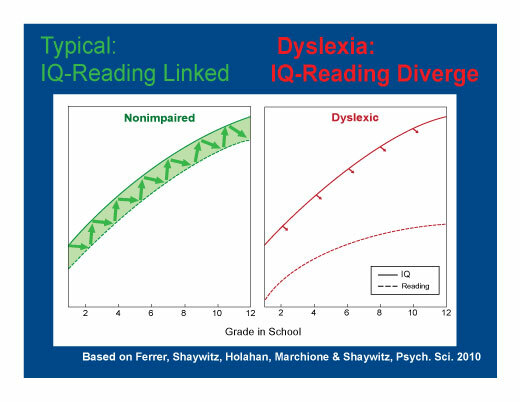 Recognize that dyslexia is not just a reading/writing/spelling issue. People with dyslexia think differently. This will impact everything they do in your classroom. 2.) Embrace the whole child. The child is not the child without this learning difference. Dyslexia is something you will have the opportunity to address in a variety of areas and that you will benefit from in your classroom. Children with dyslexia will surprise you with their thoughtful insights and their creativity. They may also surprise you with their tendency to struggle in areas you wouldn't expect. Embrace all of them. 2.) Believe in this child more than anyone ever has in their entire life. You have the power to make a HUGE life-changing difference. Ever considered what left-handed people feel like as they live in a right-handed world? Imagine that experience 10 times worse. People with dyslexia have to live life in a world made for non-dyslexics. Written language is the key to success to so much in life, especially when it comes to school. So, to struggle with written language means school work is arduous, success is limited and expectations are overwhelming. The fact that children with dyslexia face this challenge every day and do so with great strength is something to be admired. Children with dyslexia become accustomed to failing, to not meeting the expectations of the teachers/adults around them and begin to hate themselves for what they can't do. Having a teacher who believes in them - who sees beyond what they can't do and instead sees what they can do - can make a huge difference in the life that child. My sister is dyslexic and dyspraxic- she is now in her second year of nursing school, and with extra support already has a university degree in fine art. I'm a piano teacher (with cf) and teach several children with dyslexia. Whilst most of them struggle to read music, all are very naturally musical. By me changing the way in which I teach them, all are doing amazingly well and are achieving outstanding results in exams. Parents say that music really helps build their confidence academically too. All are very intelligent, and with the right support, really flourish.